The ISO code of United Kingdom is GB according to the ISO 3166 standard. The local name of the country is the same as its English name. United Kingdom capital city is London. People in United Kingdom speak the English language. In the year 1707, United Kingdom emerged as a sovereign political entity. The largest city in United Kingdom is London. United Kingdom is located in the UTC +00:00 time zone, which is also called Western European Time or WET. The internet country code top-level domain (ccTLD) for United Kingdom is .uk. Other domains assigned to United Kingdom are .gb, .london, .cymru, .wales, .scot, .eu. The domain name .eu is available for use by organizations in and residents of European Union member-states. The International dialing code for United Kingdom is 44. People in United Kingdom drive on the left side of the road. Total land area of United Kingdom is 243,610 km² (approx. 94,058 mi²). United Kingdom is not a landlocked country. It means that is is bordered by at least one major body of water. United Kingdom is located in Europe. United Kingdom is considered to be a developed nation. The developmental stage of a nation is determined by a number of factors including, but not limited to, economic prosperity, life expectancy, income equality, and quality of life. Currently United Kingdom faces various issues, including somewhat concerning air pollution, controversial migration management practices. We offer various corporate services in United Kingdom jurisdiction. These services can serve both, people coming from United Kingdom and foreigners. If you plan on doing business in United Kingdom you might be interested in contacting us. To find out about starting your business in United Kingdom click on company formation in United Kingdom. To find out how to open a bank account in United Kingdom and moreover what type of account Confidus Solutions suggests to create, please click on bank account in United Kingdom. Choose preferred service below or continue reading to find out more about United Kingdom. The total population of United Kingdom is 66,573,504 people. In United Kingdom, the population density is 262 people per square kilometer (682 per square mile). Because of this statistic, this country is considered to be densely populated. The ethnic diversity is almost uniform according to a fractionalization scale which for United Kingdom is 0.1211. United Kingdom has approximately 8543120 foreign immigrants. The median age is approximately 40.4 years. In United Kingdom, 87.02 in every 100 people use internet. United Kingdom has a Human Development Index (HDI) of 0.892. The majority religion of United Kingdom is Christianity, United Kingdom is considered to be a developed nation. The developmental stage of a nation is determined by a number of factors including, but not limited to, economic prosperity, life expectancy, income equality, and quality of life. Click on a link to read more on demographics of United Kingdom. People in United Kingdom speak the English language. According to data on inbound tourists in United Kingdom, 31,169,000 tourists arrive in the country each year. The first McDonalds in United Kingdom was opened on 13 November 1974, and it was located in Woolwich, London. One of the most popular national dishes of United Kingdom is beef. To read more click on culture of United Kingdom. United Kingdom is considered to be a large nation because of its total area. Its total land area is 243,610 km² (approx. 94,058 mi²). United Kingdom is located in Europe. Its capital city is London. The length of said border is 360 km (224 mi).Total length of land borders of United Kingdom is 499 kilometers (~193 miles). The highest point of United Kingdom is Ben Nevis, with its official height being 1343 m (4,406 ft). Including land mass and EEZ, the total area of United Kingdom is approximately 7,049,196 km² (~2,721,697 mi²). The most notable natural resources found in United Kingdom are coal, petroleum, natural gas, iron ore, lead, zinc, gold, tin, limestone, salt, clay, chalk, gypsum, potash, silica sand, slate, arable land.To read more click on geography of United Kingdom. The currency of the country is British pound. The symbol used for this currency is £, and it is abbreviated as GBP. 4.4% of population in the country are unemployed. The total number of unemployed people in United Kingdom is 2,929,234. Each year, United Kingdom exports around $813.2 billion and imports roughly $782.5 billion. The Gini Index of the country is 32.4. United Kingdom has a Human Development Index (HDI) of 0.892.The Global Peace Index (GPI) for United Kingdom is 1.685. United Kingdom has a government debt of 90% of the country's Gross Domestic Product (GDP), as assessed in 2012. United Kingdom is considered to be a developed nation. The developmental stage of a nation is determined by a number of factors including, but not limited to, economic prosperity, life expectancy, income equality, and quality of life. Major industries in the country are machine tools, electric power equipment, automation equipment, railroad equipment, shipbuilding, aircraft, motor vehicles and parts, electronics and communications equipment, metals, chemicals, coal, petroleum, paper and paper products, food processing, textiles, clothing, other consumer goods. The total Gross Domestic Product (GDP) assessed as Purchasing Power Parity (PPP) in United Kingdom is $2,569,218 billion. Each year, consumers spend around $1,736,557 million. The ratio of consumer spending to GDP in United Kingdom is 0%, and the ratio of consumer spending to the world consumer market is 4.04. The corporate tax in United Kingdom is set at 19%. Personal income tax ranges from 20% to 45%, depending on your specific situation and income level. VAT in United Kingdom is 20%. To read more click on economy of United Kingdom. Infrastructure quality in United Kingdom is rated to be at 4.16. It indicates a good quality - roads, railroad, ports and other facilities are adapted and regularly maintained to handle high levels of traffic at all times, as well as most probably there are special facilities for handling high intensity and/or special traffic or vehicles (e.g. motorways a.k.a. autobahns and deepwater ports). In United Kingdom, 100% of the population has access to electricity. There are 8,107,000 internet hosts in United Kingdom. United Kingdom has 460 airports nationwide. The logistics performance index of United Kingdom is 4.01. It indicates a good performance - the logistics system is well prepared and organised, shipments mostly arrive on time and do not suffer damage, and the infrastructure is ready to handle even unpredictably big amounts of traffic as long as it is not overwhelming. Tracking possibilities for shipments are rated at 4.08. It indicates a good performance - the tracking systems provide detailed and up-to-date information about most of the parameters of shipments, as well as often transcend national (both political and linguisitc) barriers and may be qualified as international shipment tracking systems. The number of road motor vehicles per 1000 inhabitants in United Kingdom is 809. To read more click on infrastructure of United Kingdom. United Kingdom, is a unitary parliamentary constitutional monarchy. With regard to political and civil freedoms, United Kingdom is 1. Citizens in United Kingdom experience total freedom. The majority of countries in which citizens enjoy expansive civil liberties and political freedoms are representative democracies, in which officials are directly elected by citizens to advocate for their needs and desires. Free countries are often bolstered by healthy economies and high-functioning governments. The head of the government is Elizabeth II. According to the World Bank Group, the government effectiveness index of United Kingdom is 1.62. This indicates that the government of United Kingdom is very effective. Citizens enjoy highly effective social, public, and civil services, and the overall morale in United Kingdom is high. Government actions are efficient and expeditious, and dangerous situations are highly unlikely as a result.In United Kingdom, the legislative power is vested in a Parliament. The Global Peace Index (GPI) for United Kingdom is 1.685. The strength of legal rights index for United Kingdom is 7. Overall, it is considered to be rather adequate - bankruptcy and collateral laws are able to protect the rights of borrowers and lenders at least decently; credit information is msotly sufficient and generally available. United Kingdom is a member of the United Nations (UN). On 24 October 1945, it joined the UN at it inception date as a full member state. United Kingdom is one of the original UN member states who founded the organization. United Kingdom is a member of the European Union (EU). On 24 October 1945, it joined the EU as a full member state. United Kingdom is a member of the World Bank. To read more click on politics of United Kingdom. United Kingdom emits 7.1 metric tons per capita of CO2. 28650 km² of United Kingdom's territory is covered in forests. and forest land comprises 12% of all the land in the country. The number of road motor vehicles per 1000 inhabitants in United Kingdom is 809. To read more click on environment of United Kingdom. The development of telecommunications and economic globalization has made it possible for interested investors to form companies around the world. With proper research, financial investments, and legal backing, business ventures can safely be established in United Kingdom. 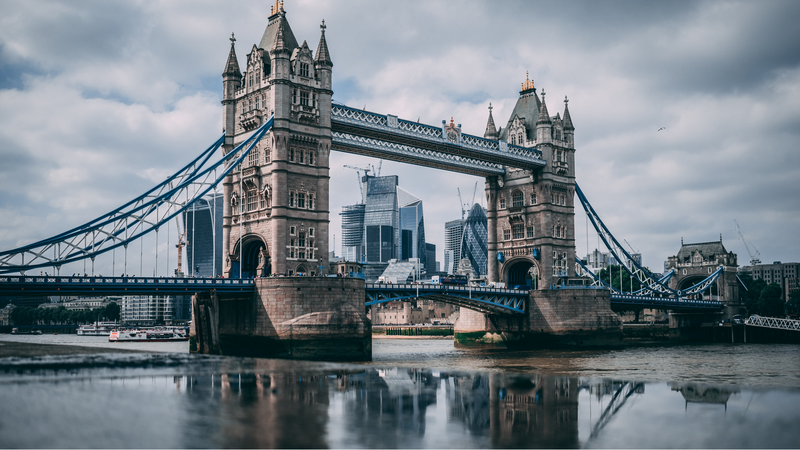 When establishing a company in United Kingdom, an interested investor must do due diligence with regard to legal processes, international regulations, and sufficient investment for success. It is critical to understand cultural, social, and political factors of United Kingdom that will affect the establishment and growth of one's business. Contact us or click on company formation in United Kingdom to read additional information when setting up a business. With the right paperwork and initial outlay, it is possible for a foreign citizen to open a bank account in United Kingdom. This opportunity for international accounts and investments offers several advantages based on economic regulations and tax structures. Interest rates and fees vary depending on your interests. When considering opening a bank account in United Kingdom, one must enlist the help of international experts to guide them through the process. To find out more about our banking services click on bank account in United Kingdom or contact us.